But that is often not the reality, isn’t it? So must ask yourself: what is there that is leaving you more isolated and less connected? Have you been putting on a cover to mask your isolation? When God’s Word soaks into our lives, and we continually seek out the Word, do you know what happens? Not only that, but peace begins to dance, and you know what that becomes? 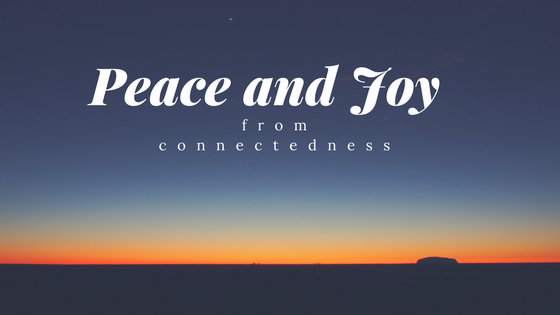 Peace and joy: what wonderful fruits they are! We need peace in this world. We need to let peace dance into joy. This starts inside of us, when we are deeply connected with God and allow God’s Word to soak deeply through us.